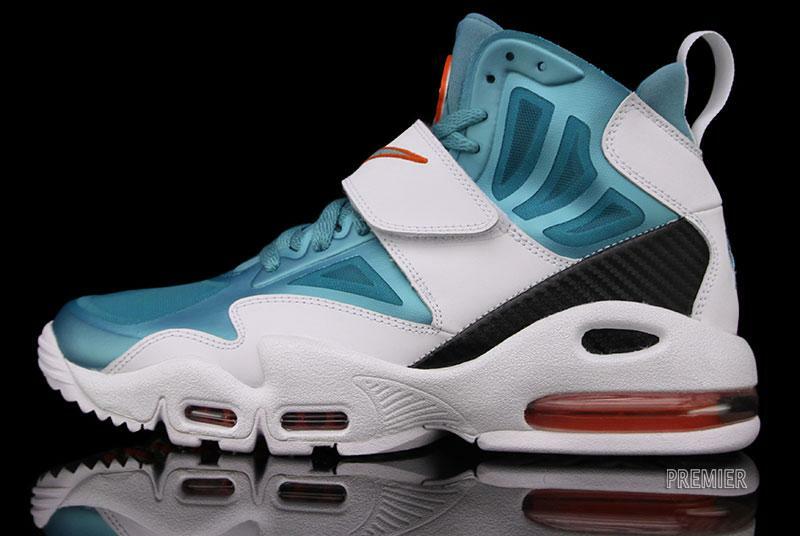 The Miami Dolphins-inspired colorway of the new training hybrid from Nike Sportswear is now available. 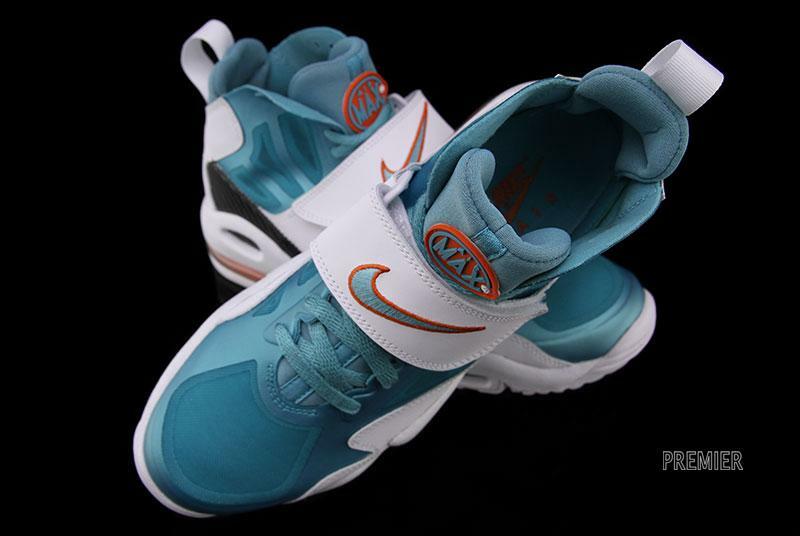 Bits of the Griffey and Deion Sanders Diamond Turf line combine to create this new hybrid training model from Nike Sportswear, available now in this Dolphins colorway of 'White/Sport Turquoise-Team Orange'. 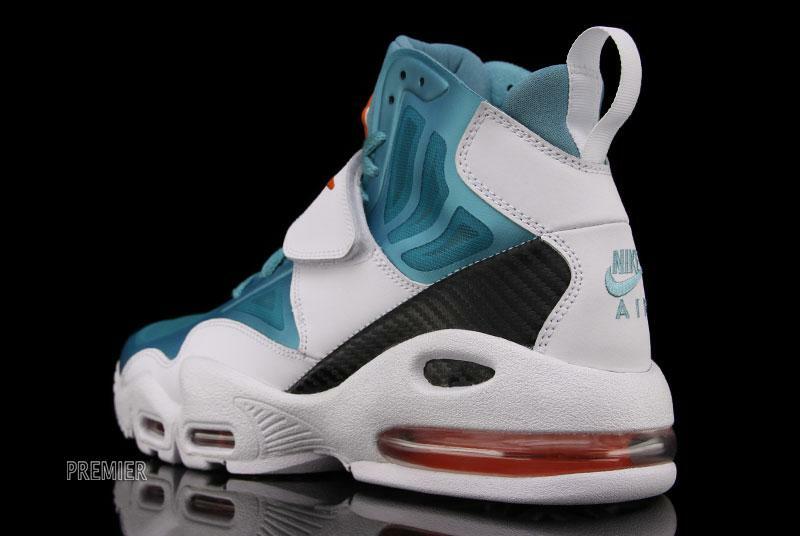 the color scheme similar to the recent "Dolphins" Air Penny V sees a Sport Turquoise Hyperfuse upper with a solid white midsole and outsole borrowed from the Air Griffey II and Diamond Turf-esque midfoot strap. 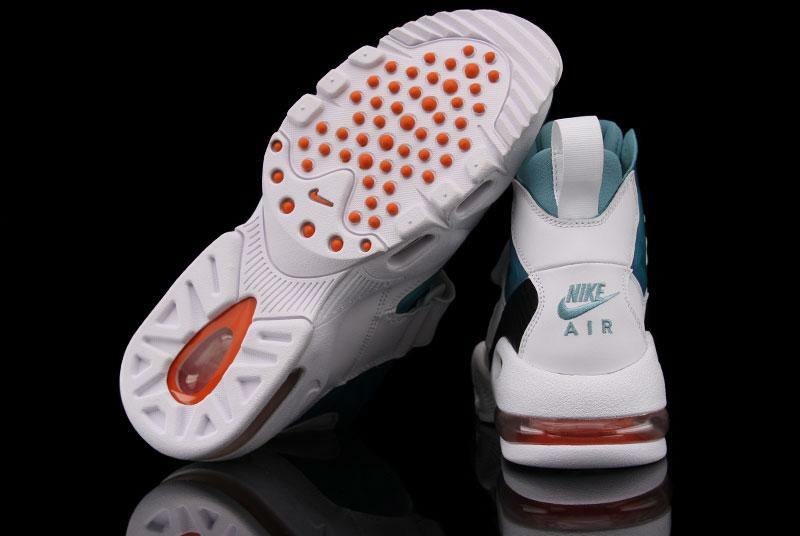 The "Dolphins" Nike Air Max Express will be arriving at retailers soon with a scheduled release date of December 8, but you can pick them up now via phone order from Premier.